Is it possible nowadays to separate PR activities from marketing, taking into account that their aims are the same – to communicate with the environment? Today, PR specialists in a company are not only media partners but also participants of communication with the client. Fortunately, they have such a tool as content marketing that will help them achieve their aims. If you manage to inspire journalists and clients, it will help you catch their attention and create engagement in the brand. Give recipients some advice in the field that they are interested in, tell some interesting, but true story, encourage recipients to act and change something in their life. A good example of how to inspire clients is the cooperation with bloggers introduced by Castorama – called „5 sposobów na” (“5 ways to…”). It resulted in the creation of “Do dzieła” (“Get to work”), that is a kind of guidebook with some sponsored content. Clients may use the ideas presented in each video in their house or garden. Many of the things that are needed, they can obviously buy in Castorama. Taking content marketing actions, it is worth checking which forms of communication (also in the case of competition) have proven to be the most effective. It will enable you to draw conclusions and correct your actions. The form you choose depends on such facts as: what kind of information is your target group looking for, what forms of communication it prefers and what your aim is. 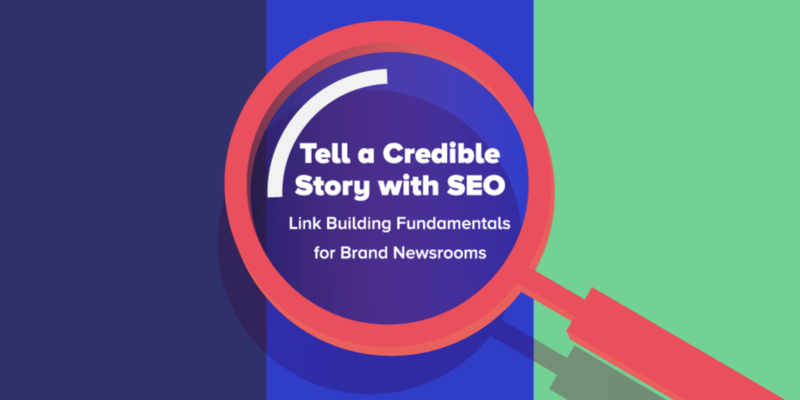 Did you know that a modern online newsroom can also work as an effective content marketing platform? Sounds interesting? Click to see how you can easily make it happen. If you want to present any statistical data, the use of infographics will be a great choice. It may also be used in such form as it was in the case of Polska Organizacja Turystyczna (Polish Tourism Organisation) which with the help of Internet users identified the greatest tourist attractions in Poland and presented them on a map. For clients who are impatient or have little time, you may prepare a summary with the most important points: preferably in a video form, etc. If your aim is to build a relationship with the recipient, it may be useful to have a blog in which you can express your thoughts in a more informal way while the readers may leave their comments. Your clients will feel intellectually satisfied if your content has a valuable message and broadens their minds. So, if a PR specialist offers some expert knowledge in order to answer clients’ questions and allay their doubts, he or she will not only build good relationships but also enhance the expert image of the brand. However, it is worth remembering that during the creation of content we should take into account the specific needs of our recipients. The ideal examples are cooking blogs whose authors share specific knowledge and present recipes with specific products of some brand, at the same time boosting the positive image of this brand (and increasing its sales). The great example from the B2B industry is Nancy Duarte, an expert in business presentations. She has recently shared Slidedoc – an exemplary presentation that may be downloaded – with beautiful icons and schemes for creative use. Creation of content that is SEO friendly should be a habit for everyone who takes long-term effects of PR activity seriously. The content that is properly optimized for search engines (e.g. use of important keywords, choice of proper headlines) will strengthen the position of a company’s website on the Internet. It is known that the better visibility in the browser, the greater traffic on the website. However, bear in mind that the website position may change at any time. To stay in a good position, you must constantly update the website. But thanks to this, it will be literally on the top if any journalist or client will be looking for information about the product or services you offer. As an agency, we also do our best to make sure that our company blog with the content related to the Polish market is as high as possible in the Internet browsers. If you create a very attractive content (e-book, tutorial, podcast, publication on a company blog, etc. ), you may allow people to download it after giving an email address or any other contact data. You can also use social media as a platform redirecting recipients to the target website. For example, a Polish brand Risk Made in Warsaw often asks its Facebook fans to give names to new models from its collection. Contact details may also be obtained thanks to well-thought-out mailing activities and informational newsletters. As a matter of fact, leaving contact data is not the same as a purchase, but it gives the opportunity to react and perform actions tailored to customers’ preferences. If you want to create a brand or company image efficiently, remember that both PR and content marketing create a mutual advantage – for the client and for the brand.